Immigration laws in the United States have long been complicated and to best navigate the thorny U.S. immigration system you will want a great lawyer to guide your steps. In addition to this, in the current political climate, immigrant rights are often at the center of political attention and immigration regulations have the potential of changing rapidly. Does the Lawyer Specialize in Immigration? In Florida, most cities have large communities of immigrants, and for this reason many attorneys list “immigration” as one of their practice areas. Immigration, however, is a complex area of the law, and the constant changes make it even more complex. Therefore, it is advisable that your Tampa immigration lawyer focus only (or mostly, at the least) on immigration law, rather than practicing other areas and just adding immigration to the list. What Is the Lawyer’s Reputation? Attorneys who provide excellent services to their clients are likely to have built a strong practice and earned a great reputation within the local community (or even nationwide). Therefore, two ways of determining whether or not your Tampa immigration attorney enjoys a good reputation is to ask within the community and to research the attorney’s general recognition in the immigration field. Colombo & Hurd has been awarded an AV rating by the Martindale-Hubbell Law Directory. An AV rating is the highest rating available to any law firm for skill and integrity and the rating is reserved for attorneys designated as outstanding in the field. We are listed in the Bar Register of Preeminent Lawyers, a peer review honor granted to fewer than 2% of all law firms in the United States. Attorneys from the firm frequently appear on major news outlets including ABC News, Fox News, Univision and Telemundo to provide immigration guidance globally. A reality of immigration is that many clients are not fluent in English, and some do not speak it at all. 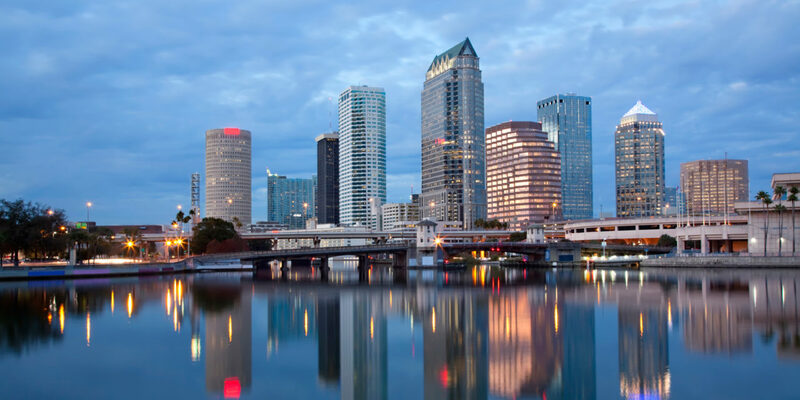 If you are not comfortable speaking English, having a Tampa attorney, or someone at his or her office, who can communicate with you in your native language can be incredibly helpful and relieving. This is particularly true when it comes to discussing legal matters and sensitive issues that may arise in your case. At Colombo & Hurd, many of our attorneys and staff are immigrants themselves. As such, we know firsthand the challenges of the immigration process and we speak a number of languages, including Spanish, Italian and Portuguese. What Is the lawyer’s Fee Structure? Another factor that may be relevant when choosing your Tampa immigration lawyer is the costs of your case, which attorney’s fees are a big part of. Every lawyer has his or her own fee structure: some may charge by the hour for their work while others may charge a flat fee, some may offer payment plans while others may not. However, while it is wise to speak with multiple Tampa immigration attorneys and understand their fee structure, it is also advisable to invest in quality legal representation and not blindly look for a bargain. What Is the Law Firm’s Communication Policy? At Colombo & Hurd, we are available to our clients and promptly answer or return emails and phone calls. Your immigration case is important to you and your attorney should understand that. At times, you may also be understandably be nervous. Therefore, choose a Tampa immigration lawyer who will return calls and emails in a timely fashion, and who will keep you updated about any developments in your case. What type of Technology Does the Tampa Immigration Lawyer Use? In an immigration case, you will be required to submit a large number of documents and provide a great deal of information. Often times, this has to occur internationally or on very short notice. Therefore, the right technology can make the process of providing documents and information far less cumbersome and much more efficient. At Colombo & Hurd, we use a secure web-based portal so that our clients can access their files, monitor the status of their case, upload documents, answer questionnaires and emails and instantly share information. What Is the Ratio of Attorneys to Paralegals at the Law Firm? Immigration cases involve a fair amount of paperwork, including filling out and submitting forms, doing legal research and drafting documents. To keep costs down, some law firms recur to paralegals or legal assistants to handle most of the work. Though this can help reduce costs, it also means that your case is not, for the most part, being handled by the attorney. To ensure that your case is personally handled by a Tampa immigration lawyer, the law firm that you hire should have a ratio of 1 to 2 paralegals for every attorney. The American Immigration Lawyers Association, or AILA, is a professional organization of lawyers who practice immigration law. AILA membership is not required to be an immigration attorney. However, the membership does show dedication to this field of law as well as that your Tampa immigration lawyer is devoted to staying abreast of the ever-changing immigration landscape . At Colombo & Hurd, our Tampa immigration attorneys have developed an excellent reputation for providing top-notch legal services to the firm’s clients. We focus exclusively on immigration law, and we pride ourselves on our customer service and commitment to quality. To schedule a consultation to discuss your immigration matter, contact us at (813) 444-1114 to schedule a confidential consultation.